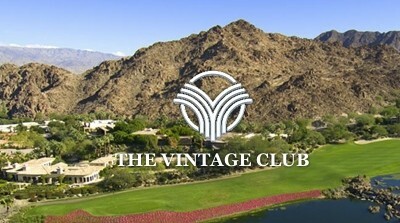 Perfectly positioned at the base of Eisenhower Mountain, The Vintage Club in Indian Wells continues to solidify itself as one of the premier country clubs in California. The 700 acre property is home to 2 distinctly designed golf courses, the Mountain Course and the Desert Course, a beautiful 85,000 square foot clubhouse, an 18,000 square foot fitness and wellness center, and nearly 500 private luxury residences. Indian Wells is a hidden gem nestled in between Palm Desert and La Quinta, CA. The residences range from condos that are valued at around $500,000 to custom luxury homes that range from $2 to $20 million. Although most of the homes are occupied, there are still a few remaining building lots available for discerning homeowners looking to become a part of the community. Most of the residences are already built, but you can find complete listings of available homes on the Vintage Club Real Estate website. The website is very helpful, as it provides photos, maps, and detailed descriptions of each property. For those home buyers looking to purchase a home at The Vintage Club and customize it to make it truly their own, RBC Construction can provide a complete design build solution to help you transform your vision into reality. All of our relationships begin with a complimentary consultation where we ask a lot of questions to learn about you, your lifestyle, and the goals you have for your newly renovated home. This information enables us to develop a concept and design that fit exactly what you are looking for. Every project is different, and that’s exactly what we love. We don’t particularly enjoy working on tract house projects or standard layouts. We get excited about projects that are outside the norm and include features that are not common in home remodeling and custom home building. We want to expand our creative muscles with each new project we do, and we would love the opportunity to work with you on your next Vintage Club home remodeling project. Sign up for our home remodeling blog and receive information you can use. Remodeling service areas throughout the Coachella Valley and Inland Empire.